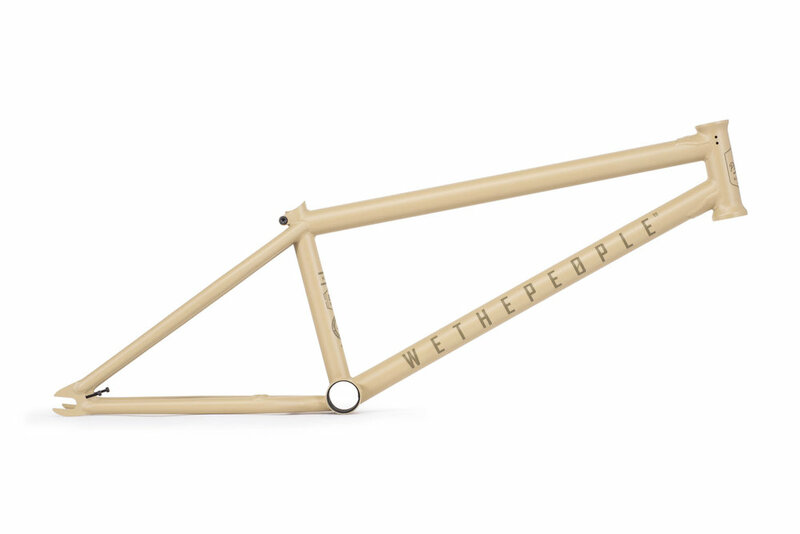 PATROL FRAME — WETHEPEOPLE BIKE CO.
WITH a solid line of frames designed to take the brunt of today's heavy street riding, WE FELT AS A CONTRAST TO THIS WE SHOULD DO SOMETHING A BIT LESS AGGRESSIVE BUT STILL WITH ALL THE DETAILS AND TECHNOLOGIES WE HAVE DEVELOPED OVER THE YEARS. WE ARE PROUD TO INTRODUCE THE ‘PATROL’ RANGE, A WHOLE SUB-BRAND, HEAVILY INFLUENCED FROM THE TRAILS AND CONCRETE PARK RIDING THAT HAS ALWAYS BEEN A PART OF THE BRAND. DESIGNED TO BE RUN WITH A LARGER 28-9 GEARING AND WITH CHAINSTAY LOCATED BRAKEMOUNTS, THE PATROL FRAME PAIRS UP CLASSIC, STABLE GEOMETRY WITH SUBTLE WTP DETAILING TO MAKE A SUPER TOUGH FRAME BUILT TO FEEL RIGHT AT HOME BLASTING THE LOCAL TRaiLS OR boosting A CONCRETE BOWL. B: Chain Stay Length: 13.55” - 14.25"
BUCK | AWAKE | PATHFINDER | PATROL | REVOLVER | BATTLESHIP | UTOPIA | MESSAGE | AUDIO 22"